Today I welcome Aussie author, Cassandra Page, to the blog as part of the From Australia With Love blog hop. I’m not aware of a single speculative fiction novel that doesn’t draw on the real world or its myths in some way. Such a book would be pretty much incomprehensible to the reader, giving them no familiar point from which to start their exploration of the more fantastical elements. There are three ways writers deal with this requirement for a foundation, whether consciously or subconsciously: the everyman, the familiar culture, and the familiar myth. One of the reasons the normal character discovering they are something more has become a trope in speculative fiction is actually founded in a sound storytelling principle: when you’re introducing your reader to a new world, it’s easiest done through the eyes of someone who isn’t part of that world. A great example of the everyman in high fantasy is Frodo and the other hobbits in Lord of the Rings. Hobbits may not be human, but they are culturally isolated from the rest of Middle Earth, which lends their lack of understanding credence. And their interests are things most readers can relate to—eating, lazing around and gardening. Not everyone may have a green thumb, but everyone can understand the idea of gardening. Lord of the Rings told from the perspective of an elf would have been a very different story. The elf would have had very different cultural filters and, given its probable age, way of viewing the short-lived creatures around it. Lessa in Anne McCaffrey’s Dragonriders of Pern is part of the same broad culture as everyone else, but as a non-dragonrider she can see that part of her world with new eyes. Garion from David Eddings’s The Belgariad is a regular farmboy until he gets whisked away on an adventure by his aunt and grandfather. Harry Potter lives under the stairs in a regular (although abusive) English household. Of course, each of these characters has something about them that makes them special, letting them deal with the various events or problems the author throws at them. Frodo is resilient to the Ring’s evil; Lessa can communicate with dragons; Garion is the chosen one; Harry Potter is the Boy Who Lived. Rarer are the English language novels set in a non-English-equivalent world, although it can be done successfully. Stormdancer by Jay Kristoff is a good example; it is set in something rather like feudal Japan, but with steampunk technology and magical beasties. The important thing is that the reader needs to have enough of an understanding of the chosen culture—whatever it is—that the author can use that as the foundation on which to build the rest of the story. I write and primarily read urban fantasy, and one of the things I love about it is that our world is represented somewhat faithfully (at least more than it would be by a Mars-like world pockmarked with biodomes!) and then made more wonderful. Vampires, werewolves, wizards, elves, dwarves, zombies—you name it and it’s been turned into a critter in a speculative fiction novel by now. The biggest difficulty for a writer is avoiding representing their supernatural beastie of choice in a way that is unique and interesting rather than derivative. Whatever you may think of Stephanie Meyer’s decision to turn vampires from creatures of the night into mirror balls at a disco, there’s no denying she took a new angle on the vampire myth! Sometimes that unique angle can come from putting familiar creatures into a different setting than the traditional one. In my novel Isla’s Inheritance (which comes out later this year with Turquoise Morning Press), I use various European faerie races as the basis for the fantasy in my urban environment. But the book is set in Australia. Why are European faeries in Australia? A lot of the story arises as a consequence of the answer to that question. Other times, writers use less common creatures. For example, the dementors in Harry Potter resemble the Celtic myth of the sluagh—flying, evil creatures that travel in flocks and steal your soul away with your dying breath. Rowling’s house elf is clearly based on the English myth of the hob, a small elf that does household chores and can be driven away by being presented a set of new clothing. I could rant on for ages more about my favourite interpretations of the real world or its myths (I haven’t even mention Jacqueline Carey’s books! ), or about my favourite everyman character. What’s yours? 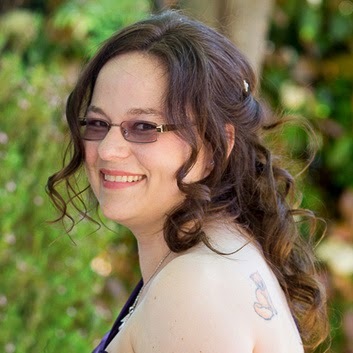 Cassandra Page is a mother, author, editor and geek. She lives in Canberra, Australia’s bush capital, with her son and two Cairn Terriers. She has a serious coffee addiction and a tattoo of a cat—which is ironic, as she’s allergic to cats. When she’s not reading or writing, she engages in geekery, from Doctor Who to AD&D. Because who said you need to grow up? I think you're right that the English setting is prominent. Apart from the obvious of author nationality, I can't think why it's so prevalent. On a random note (reading your comment on representation of 'supernatural beasties') have you ever read or heard of the Skulduggery Pleasant series? I like the vampires in that because author Derek Landy presents the beast-form as being, effectively, a hairless sabre-tooth tiger. Oh, and I don't know if you've seen any of the Potter Musical parodies, but I was reminded of a quote: "this textbook is so old it still refers to Dementors as Ringwraiths." Haha!